I have checked your email address and it is not listed in our bounce list. As I check the email history log, I see that the emails are being sent from our end without any issue. Please check if the emails are being landed in the spam/junk folders. 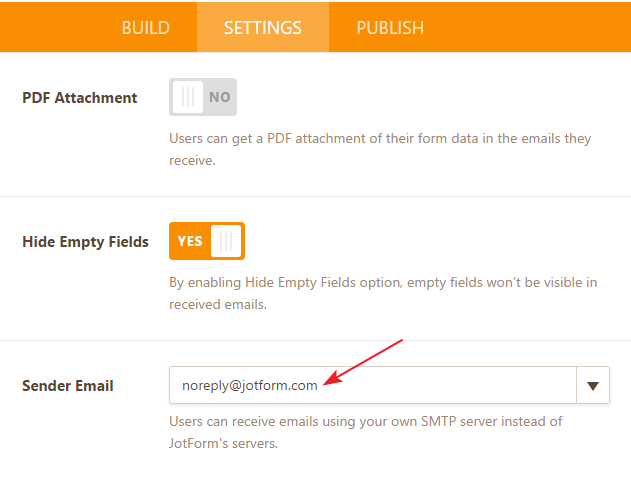 Also, please try changing the sender email address to other JotForm address to see if that works. Also, please check the following guide that can help you with troubleshooting email delivery issues.